Visit the official CUSAT CAT website. Download and save your results for future reference. Results Date: CUSAT CAT 2019 result is expected to be declared on 1st May 2019. 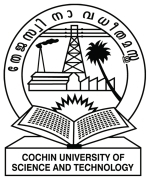 Authority: CUSAT CAT 2019 result will be declared by the conducting authority Cochin University of Science and Technology. Official website: The CUSAT CAT 2019 results will be published on the CUSAT's official website at www.cusat.nic.in. Download: For viewing and downloading the scorecard, candidates need to enter their roll number/application number and date of birth on the login page before submitting. Consideration: On the basis of the candidate's performance in CUSAT CAT 2019 exam merit list will be prepared. Step 2: Select the degree/ course for which the candidate applied and appeared in CUSAT CAT 2019. Step 3: Candidates have to enter their roll number and date of birth in the results login page. Step 4: Enter your roll number and press the 'Submit' button. Step 5: The candidate's CUSAT CAT 2019 Result will be displayed on the screen. Step 6: Candidates have to download their result/scorecard and save it for future references. Candidates Name and Date of Birth. Category wise CUSAT CAT 2019 cutoff marks.